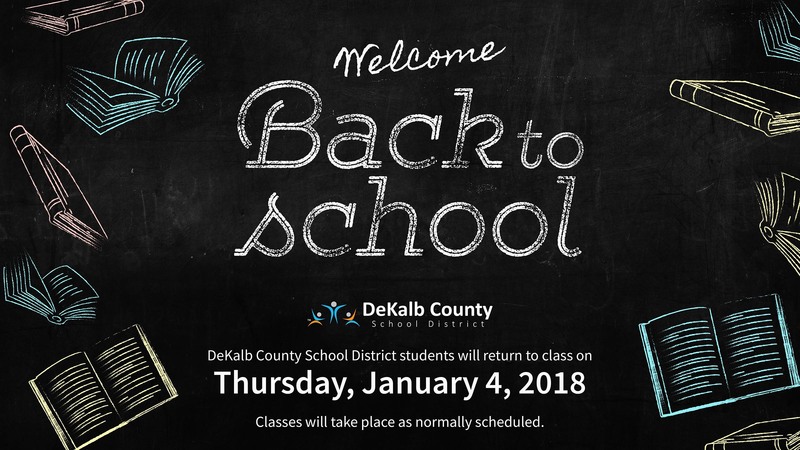 DeKalb County School District (DCSD) students return to class on Thursday, January 4. DeKalb County School District (DCSD) students will return to class on Thursday, January 4. Classes will take place as normally scheduled. Please be mindful of the winter temperatures as students prepare to board school buses or otherwise travel to school. Be sure to bundle up in winter clothing and minimize time outside. We look forward to serving you in 2018. If a student is currently under the weather, they may not be able to attend school. Please review this helpful article from Children’s Healthcare of Atlanta Inc. for more information.